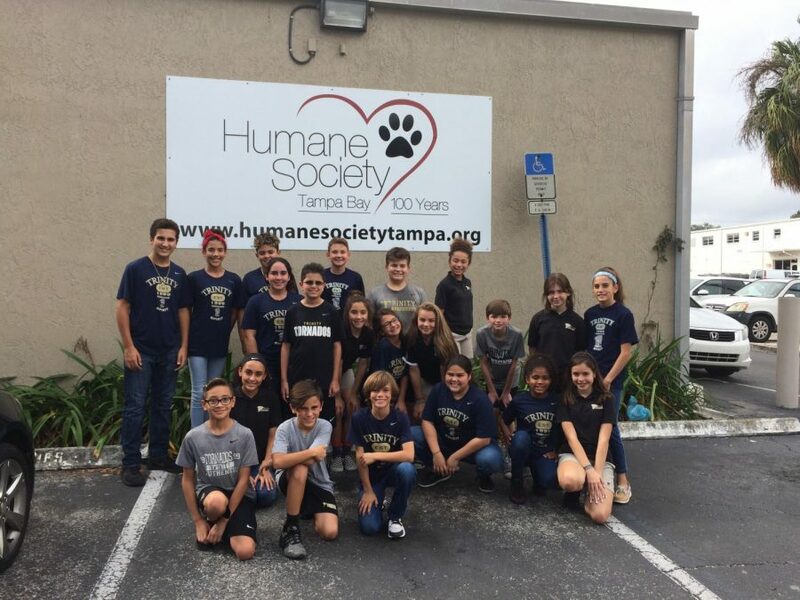 The Fundraising team visited the Humane Society of Tampa Bay this week and presented them with a donation. After sponsoring events during the first semester of school, along with 1st grade, we were able to donate $1800! The funds went to purchasing naming rights for the new building in the puppy adoption area, microchip scanner and miscellaneous supplies. The fundraising team is on the look-out for their next fundraising idea!